[To a woman who wants to wear a absolute sailor suit by death] For autumn / winter, a newly-arrived sailor-suit pajamas "Seracore" can be spared warmly. 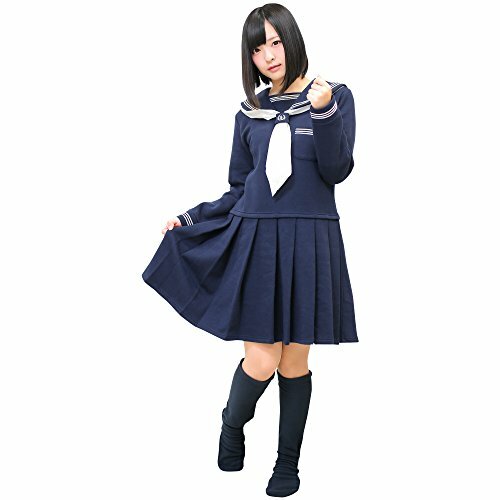 Serakore is a sailor suit that you can enjoy as a pajamas. I spent time in high school uniforms with blazers and private clothes and planned for you who wants to wear a sailor suit because it is good at once. It adopts a sweat fabric that is easy to move and has a soft touch, there is no tightening around the stomach with a one-piece type. Looks like a sailor suit, aimed at comfortable pajamas. [I'd like to wear a sailor suit because I can go alone] For women whose high school uniforms were sailor uniforms, there is only about 10 to 20%. For most women, uniforms = blazers. However, in the world of animation and movies, sailor clothes are drawn as if it is a symbol of youth. Sailor suit girls suffer from friendship tangle, do love love, sometimes fight against different people and grow. It is natural that many women adore that "I want to wear a sailor uniform for good because it's OK." No matter how long you are longing for a sailor uniform, you have the courage to wear a sailor suit after graduation. So I would like to propose a sailor uniform pajamas "ceracolle". You can enjoy sailor suit only in the room without concern for the eye. [Sailor suit only in the room] Serakore is a sailor suit that can be worn as a pajamas. The difference from the sailor suit for cosplay is that it adopted sweat fabric that is easy to move and easy to touch. There was no tightening around the stomach with a one-piece type, aiming at a sailor suit and a comfortable aim for pajamas. It is much warmer than spring clothes, perfect for pajamas of the autumn / winter season. Body size: larger M size ※ Please check the image for details. If you have any questions about this product by BIBILAB(ビビラボ), contact us by completing and submitting the form below. If you are looking for a specif part number, please include it with your message.